"The 3400 km Baikal Amur Railway (BAM) famous for its political exiles, pristine environment, indigenous villages, Cold War secrets and communist dreams." The Baikal-Amur Mainline is one of the original destinations in Russia to experience Siberia from inside. The railroad starts in Tayshet, bends around lake Baikal north extremity and goes further eastward to Sovetskaya Gavan at Pacific coast. It runs through a vast territory, with numerous swamps, pristine taiga, mountain ranges, over hundreds of rivers, mostly in permafrost areas. The railway is the gateway to the rarely visited region named the BAM Zone. 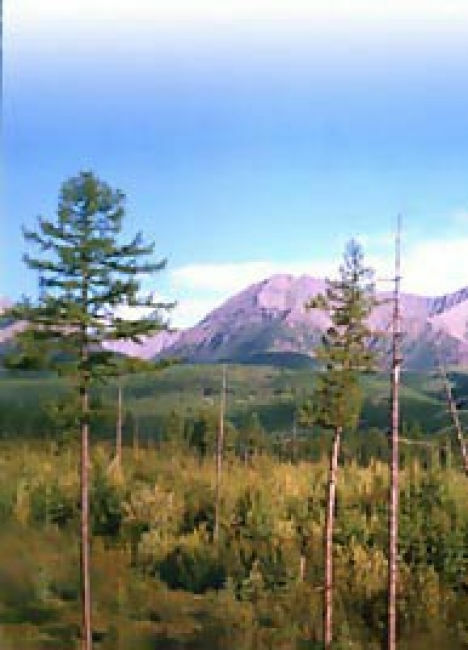 Before 1970 it was virtually uninhabited taiga, dotted with villages of indigenous people - Evenks. Now it has population of about 300.000, with several rather big cities such as Severobaikalsk, Tynda, Komsomolsk. The nature and climate in BAM Zone seems to be more severe than along the Trans-Siberian railway, longer and colder winter, short summer, there are a lot of dwarf plants, trees and white moss covering vast territory. On the other hand, the Russian wisdom says "The colder climate is, the warmer people are". People who live in the North are famous for their hospitality even inside Russia.